Your private minivans and taxi transfers at the lowest prices. TransferPlan will transfer you from Heraklion airport to Ammoudara Agios Nikolaos as quickly, safely and comfortably as possible. Heraklion International Airport, "Nikos Kazantzakis" is the primary airport on the island of Crete and the country’s second busiest airport after Athens International Airport. It is located about 5 km east of the main city center of Heraklion, near the municipality of Nea Alikarnassos. It is a shared civil/military facility. TransferPlan will transfer you from and to Ammoudara in Agios Nikolaos as quickly, safely and comfortably as possible. Ammoudara is located 6km southeast of Agios Nikolaos, on the old road connecting Agios Nikolaos to Sitia and Ierapetra. Amoudara is compromised by a nice sandy beach with light blue and shallow waters, therefore, an excellent choice for families with children. The beach is equipped with amenities such as umbrellas, sunbeds and water sports. Ammoudara is an ideal location for a relaxed family vacation, however, the beach is small and it tends to get crowded. Alternatively, you can head to the beach of Almiros which is more spacious and less busy. Ammoudara is a getaway to Agios Nikolaos with the bonus of staying close to the beach, instead of staying in the city centre. Around Ammoudara one can dwell to nearby beaches such as Almiros and those ones located in Istron or discover some small hidden coves and pebble beaches such as this in front of the Cretan Village Hotel. Ammoudara is also a good base for exploring the east coast and go sightseeing. Travellers can visit archaeological sites such as Lato or Tripitos, the church of Panagia Kera or explore nearby towns of Agios Nikolaos and Sitia or the outlining villages. 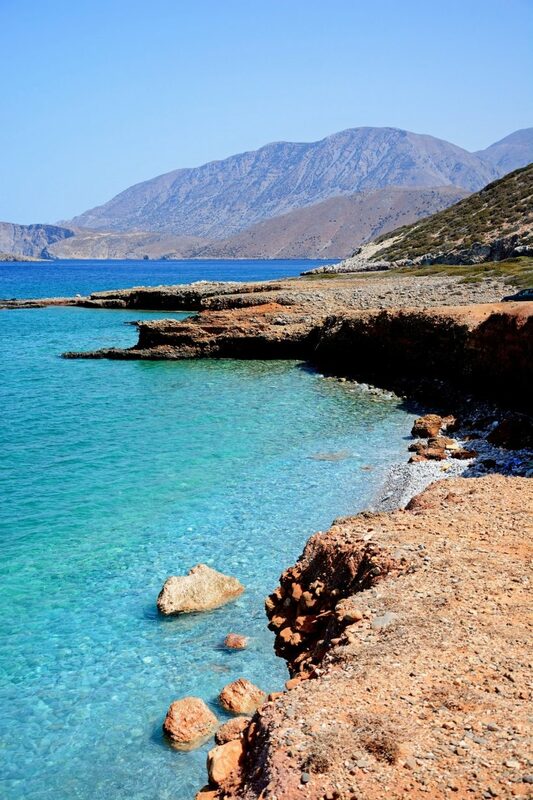 Ammoudara is a great option for those who desire a relaxing holiday and want to enjoy Crete away from the crowds. Moreover, hospitality and great local food will make your very enjoyable. Book your Crete taxi transfer now. Enjoy a high-quality service at the lowest prices. Best price guaranteed. That’s why we are Crete’s favourite airport transfer company.